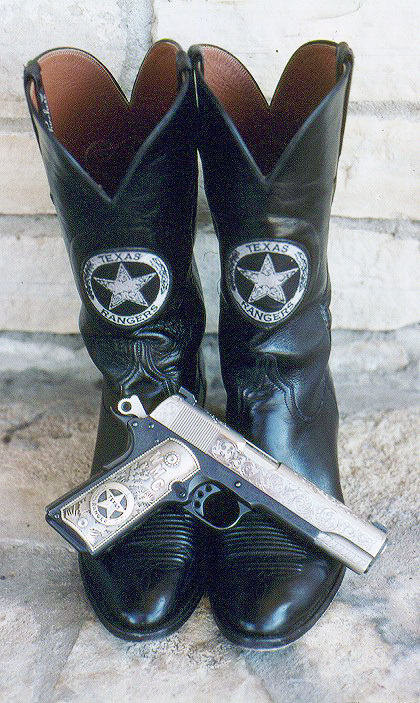 The below photo is a picture of a highly customized Colt 1911A1 laying on a pair of boots. The boots are black. The 1911 pistol has lots of fancy scroll work and custom grip panels.